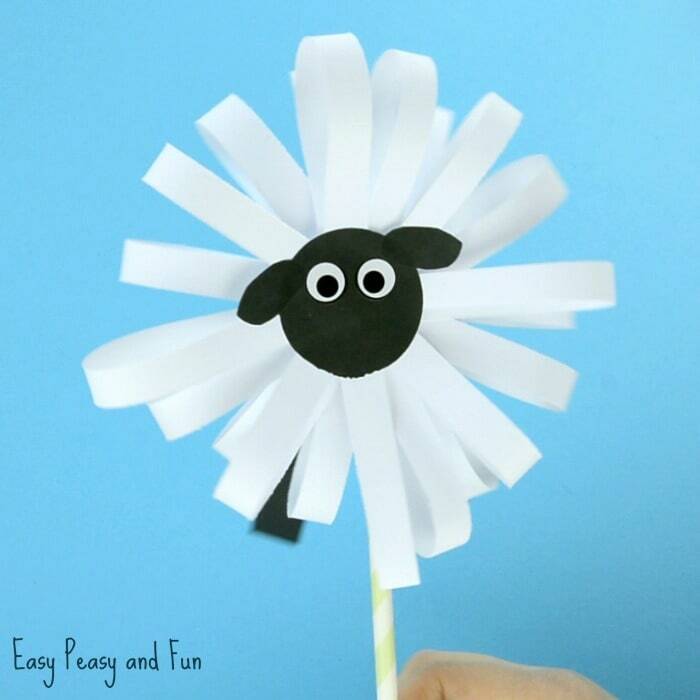 We made a lion a while ago and next in line was this adorable paper sheep craft / puppet. 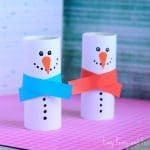 These paper crafts can easily double up as puppets for dramatic play so they are both fun to make and fun to play with. 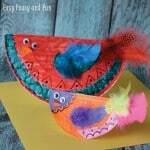 This particular one is especially good to make around Easter or in the month of March, even more so if you combine it with a lion puppet, as it’s said that the month March comes in like a lion and will go out as a lamb. If you are unfamiliar with this saying it pretty much relates to weather and spring – as it comes in roaring and the closer we get to the summer the calmer it is. 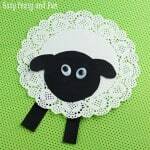 This lamb or sheep craft will make the most wonderful decoration or addition to your Easter basket too! So many possibilities! 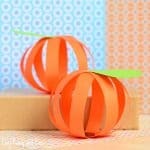 Cut a whole lot of paper strips. We have cut them across the paper (A4/legal) width. The strips are about the width of a thumb. 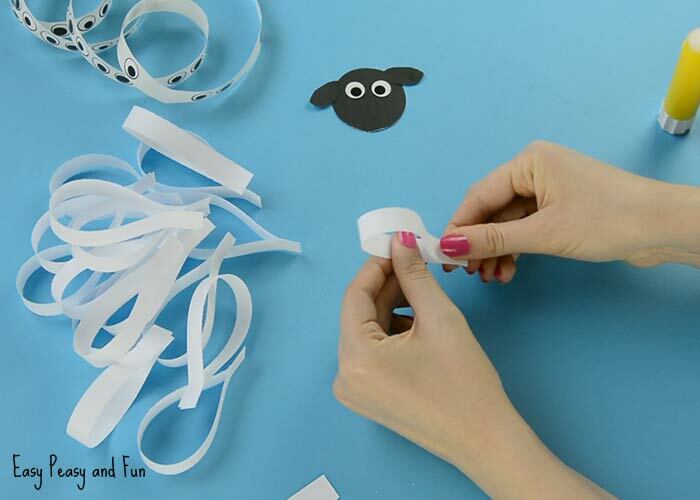 Younger kids will find it easier to work with strips that are a bit wider while older kids can easily manage strips of paper that are even thinner. 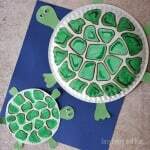 Make a circle out of black construction paper. We used a circle punch but cutting a circle with scissors naturally works too (drinking glasses or lids are excellent for making outlines). 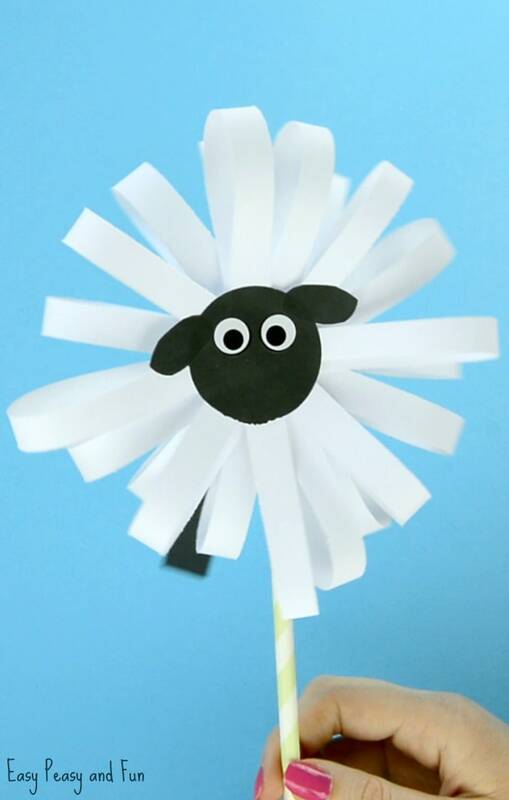 Also cut two sheep ears out of black paper and glue them onto the head (circle). Stick on two wiggle eye stickers (stickers are so much fun). 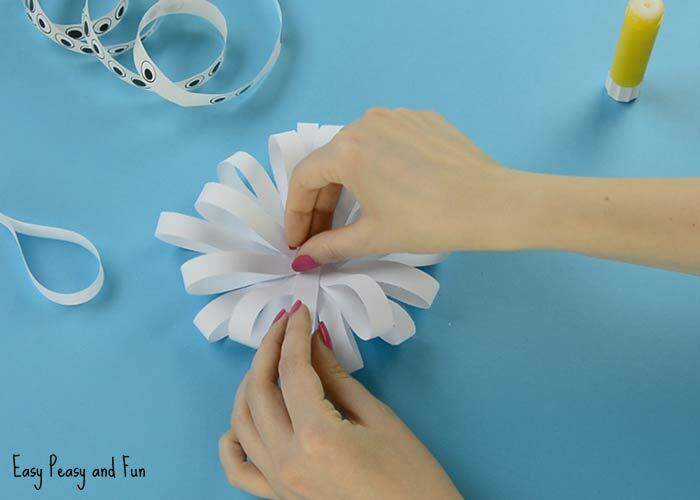 Take the white strips of paper and start making loops by gluing two ends of strips together. Make lots of loops. Lots. Glue the loops on the back of the black head. Start with the first 4 glued to make a cross shape and then glue others in between. Continue until you get a nice looking fluffy sheep. Cut two strips of paper out of black construction paper (or 4). Glue on the back – making the legs. 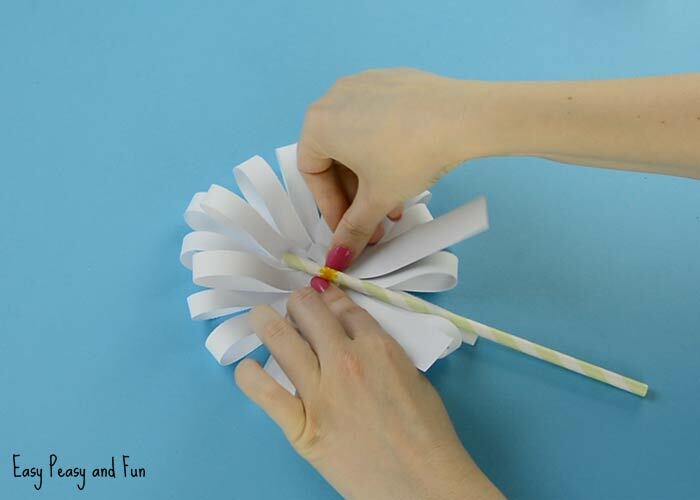 Glue the paper straw on the back. We recommend you first glue it with the glue and then secure with clear tape. 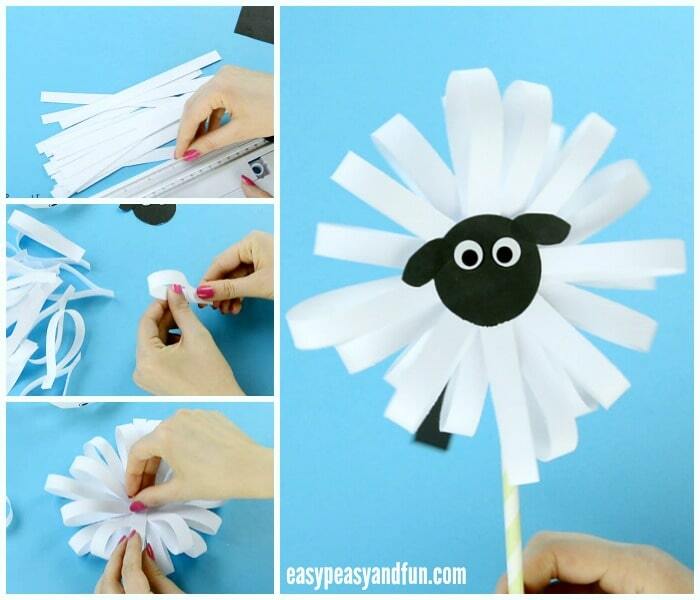 You paper sheep craft is all done.